Foundation editor of haiku journal paper wasp, driving force behind Post Pressed and internationally recognised haijin, John Knight, passed away after a long battle with cancer. Like his friend and colleague Janice Bostok, John was a great support to me in the early days. At paper wasp gatherings in the old State Library of QLD, John was always there to provide incisive critique and share his wicked wit and love of life. His published verse includes Wattle Winds: an Australian haiku sequence (Paper Wasp, 1993), From Derrida to Sara Lee (Metro Arts, 1994), Extracts from the Jerusalem Archives (Sweetwater Press, 1997), big man catching a small wave (Post Pressed, 2006) and Letters from the Asylum (Sudden Valley Press, 2009). It is a body of work that I hope continues to be read long into the future. I will be reading a poem in his honour tonight at Riverbend Books, where I am sure, there will be another star in the sky, shining down on the poets as they gather on the deck. February has but a handful of days left, which means Summer is also all but gone… It is also time to say goodbye to our February Pin-Up Poet, Ross Donlon, but never fear, he will be hear in Brisbane before the month is out performing at Riverbend Books and SpeedPoets. And he is also running a workshop while he is in town, which is what we got to talking about this week. I wanted to ask about the workshop you are running in Brisbane titled ‘Catching Poems’. What can participants expect to come away with at the end of the day? Yes, I’ve begun to call my workshops ‘Catching Poems’ picking up on what someone said – I forget who, ‘The world is full of poems. They just need an edit.’ The class will be writing poems to begin and reading poems aloud in the last session. I have a couple of mantras I put on the board and one is by Frank O’Hara : ‘Follow Your Nerve’. So the aim is to have the class come away with a number of drafts from short bursts of intensive writing following some ideas and stimulus and models I supply. Ideally there will be ‘useful lines’ or ‘useful passages’, even a ‘useful phrase’, they they can then take home and build into a finished poem from the exercises. 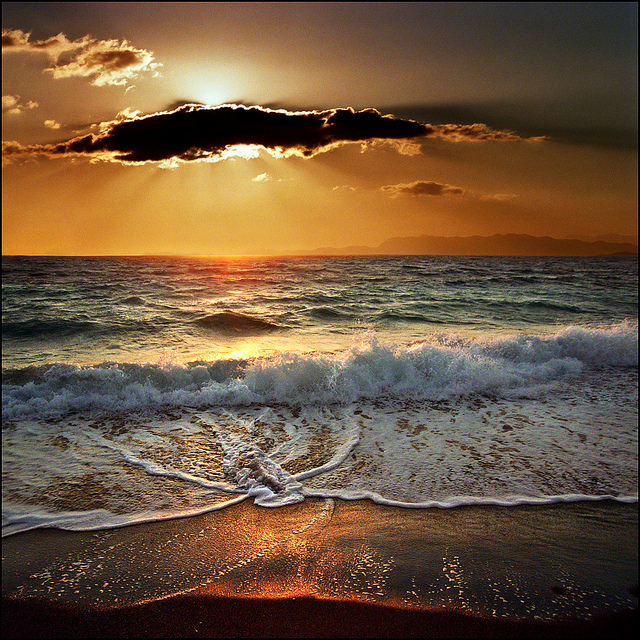 It is not a class where poets will be pondering and mulling for an extended period of time and chatting with me. Others are put off or lose concentration with that muttering, I think. I do ‘go around the class’ and invite poets to read their ‘best bit’ be it a phrase, or line, or sentence or pasage – more as the class develops and poets become more relaxed. So, if the class goes away with, say 6 ‘useful bits’ in 6 different kinds of poems to work – that’s what I’m after. I was at the last launch of a major Australian literary journal. There were six readers, including me, but an observer present said that only three of us could be understood. The rest were too fast and / or indistinct because they were too far from the mike. Diction is helped if the pace is right. So I think this is a useful skill to learn whether for reading poetry – or at your wedding! So in the last session we will do microphone technique and reading for an audience where each person reads a poem they have chosen (not their own) using the mike. I will model what I do, then it’s likely each poet will go through their poem a couple of times with me offering some advice. In sum, I hope the class will take away: some useful drafts / some new poems and names to follow up / some ideas about reading technique. I’m also happy to do a Q and A if there’s time about my experiences as regards publishing or reading or anything else about writing and reading poetry. Join award-winning Victorian poet Ross Donlon for an all-day session, giving poets ideas to catch and edit poems as well as tips and practice on how to read for public performance. This is a hands-on workshop using both formal and more open structures, so poets can expect to take away a number of drafts. There will be time for writing and sharing. The afternoon session will also include tips on mic use and public performance techniques with flexibility for other interests which may arise from the early session. Ross is published in both newspapers and academic journals and has read at festivals both in Australia and England. He has won prizes both for the written and spoken word, including the Launceston Cup, premier spoken word event of the Tasmanian Poetry Festival and the Wenlock Festival Poetry Prize (U.K.) judged by Carol Ann Duffy, English Poet Laureate. 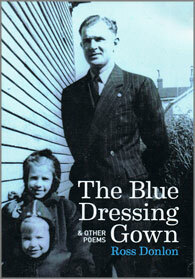 His latest book, The Blue Dressing Gown and other poems, is published by Profile Poetry. Please contact sarah.qldpoetry@gmail.com for further information or to enrol in the workshop. eating lunch inside the shadow. the way it stays on fingers with the stain. Soon I would be ready for the Big School. asphalt playground of rectangles, circles and squares. and down a sloping paddock beyond the classrooms. We heard the cries a continent away. Suddenly the talk came to fathers and what they did. I discovered that I could not speak. What was it that could I not say? The bell saved me as I was falling. my family skittled by a missing pin. and a face the size of a fingernail. She fanned out pictures like playing cards. The bedroom’s lace curtains glowed in the heat. Wind blew sweet scent from Peek Frean’s biscuit factory. The bitumen noise of cars rushed down our street. Steven Carter is a retired emeritus professor of English and his book of essays, Devotions to the Text, was awarded the Eric Hoffer Foundation’s Montaigne Medal grand prize. 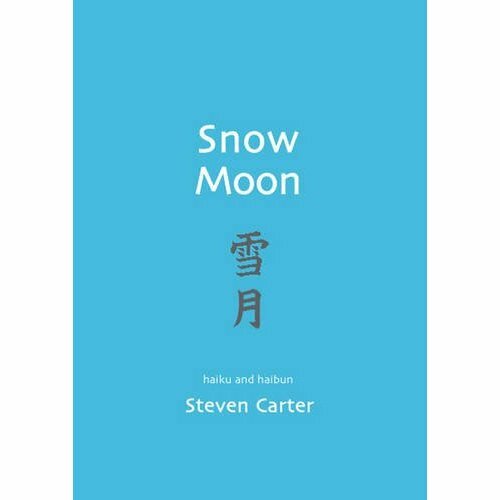 Carter secures his position as one of the most remarkable of contemporary writers with his first collection of haiku and haibun, Snow Moon. The haiku and haibun in this collection are expressed in plain language that nevertheless enlightens us with their lightest and deepest concepts. In his haiku, which are divided into three sections: Equinox, The House and October, Carter ponders and marvels over the various seasonal changes that take place during the equinox, the practicalities of the house, and the coming of winter. Each section is headed by a haibun and the final section L’Envoi, contains ten haibun. In a strange and terrible way, September is the cruelest month for Auschwitz – the skies are blue and balmy, the grounds and surrounding fields lush with flowers, grasses and chestnut trees. These landscapes make the facilities – gas chambers, crematoria, barracks, dungeons, the Wall of Death – more poignant, even unbearable. I saw more than one Fullbrighter throw up and return to the bus. This is a very fine collection and an engaging, attractive and worthwhile book. For anyone with even a passing interest in haiku, this lecture by Zen master Alan Watts is nothing short of enlightening. In fact, for any artist wanting to clear their head, Watts’ is refreshingly direct and profound. So sit back, empty your cup and drink in the wisdom.